In 1981 Keshi, the Zuni Connection, a small shop, was founded in Santa Fe, NM by Zuni artists and schoolteachers. They created a venue where Zuni artists receive fair payment, respectful representation of their unique jewelry, fetishes, and pottery. The public could learn about their fine artwork and the rich culture of the Zuni People. Zuni Pueblo, located 35 miles south of Gallup, NM, is the largest of the 19 pueblos. Eighty percent of the estimated 11,000 Zuni Pueblo residents make their living from their art. Their geographical isolation challenges their access to markets. As first steps, The Keshi Foundation produced the very successful Zuni Shows in 2016 and 2017. Held in downtown Santa Fe, the Zuni Shows provided the Zuni artists with an opportunity to directly show and sell their work to the public at full retail. The Zuni Shows presented more than 250 artists, generating $600,000 in income directly going to the Zuni artists and their families. The shows garnered wide praise, with readers of First American Art Magazine calling the show “...one of the world’s top ten best indigenous art shows in 2016”. The Zuni Shows provided a short-term financial benefit to the shows’ participating artists. They also proved the concept that Zuni artists are a significant and singular attraction to admirers, collectors, and the merely curious. The next part of the challenge is how to impact the greater Zuni population. Many more Zuni artists and the general Zuni population would benefit from enhanced and expanded opportunities in Zuni to make a fair living from their artwork. Evalena Boone, President of Zuni Pueblo MainStreet discussing proposed concepts. Our goal is to work with the Zuni community to help create those opportunities through a unique Zuni Cultural and Arts Learning Center to be shaped, owned, and operated by Zunis — while bringing the Keshi philosophy to Zuni Pueblo. Currently, our excitement is high as we explore the concept in partnership with the Pueblo of Zuni Tribal Council, Zuni Pueblo MainStreet and other stakeholders. The Keshi Foundation is deeply involved with gathering input from the Zuni People to help develop their Zuni Cultural and Arts Learning Center as a hub of activity, learning and opportunity for Zuni artists and the entire Zuni community, as well as visitors, scholars, and students. The vision under discussion would provide a focus for art-related learning, education for artists and visitors, communal work areas, technology development, museum and archival capabilities, as well as direct selling by artists. 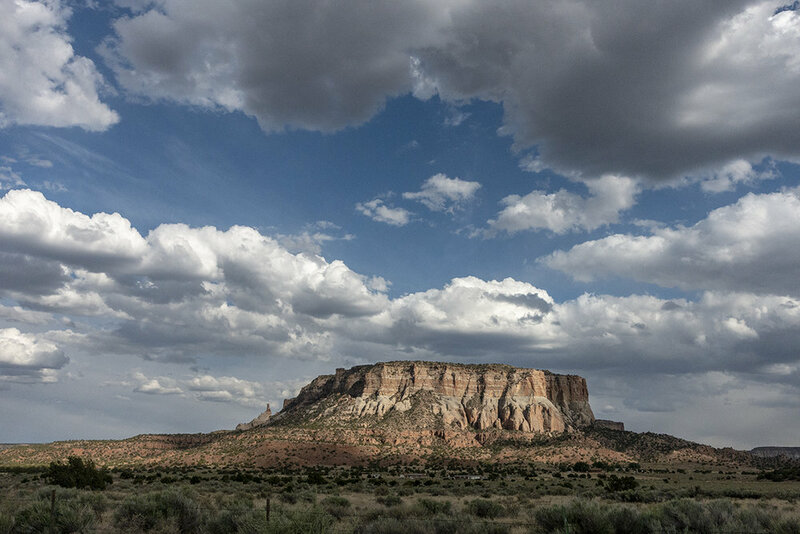 While still in the early stages, the necessity for this center becomes more evident as we receive more input from the many Zuni groups who will be positively affected. To move this project forward we need your help and assistance. Donations are welcome as well as gifts of Zuni artwork which are available for sale on the Foundation website, with proceeds used entirely for the Zuni People. Download a flyer here. Jamie Peynetsa displays his pot at the 2016 Zuni Show.